For your safety and convenience, I use PayPal to process orders. I will never see any of your credit card or bank information. PayPal will process a credit card payment even if you do not have a PayPal account. I do not accept checks or money orders. I do not ship items until payment has cleared. If paying by e-check with Paypal instead of a credit card this can take approximately 3-5 business days. Items come in a complimentary sheer ivory colored organza pouch or silver foil box. 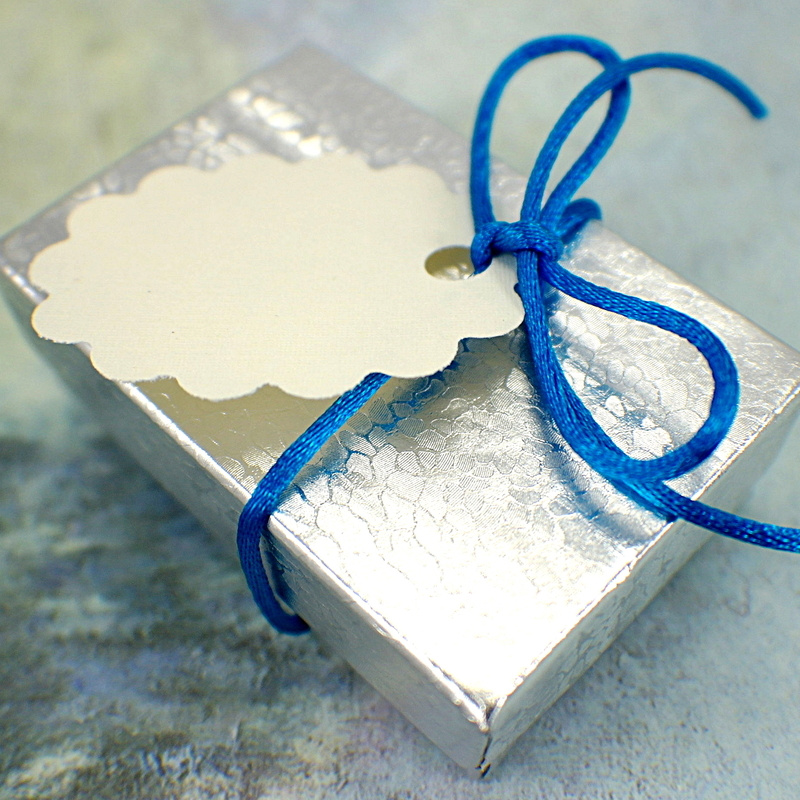 For $1 USD you may upgrade to my GIFT WRAP option which is a silver foil box, gift tag and turquoise satin ribbon. You may leave a gift message to be included or the gift card can be left blank for you to fill out. If the gift item will be shipped to you, I will enclose the gift wrapping materials so you can inspect the item(s) when they arrive. If it will be shipping directly to the recipient, I will be happy to remove prices and wrap it nicely--please leave me a note at checkout. I love helping with gift orders! All items are shipped wrapped in my signature turquoise tissue paper. I do not sell to competing on-line sellers. I reserve the right to refuse wholesale terms to any business I deem inappropriate. Orders must be paid for up front. My wholesale pricing is volume discount style. The more you buy, the greater the discount up to 40% retail on certain items. Or you may select wholesale lots of my most popular items for 50% off retail. I do not offer wholesale pricing on pearl stringing or re-stringing or repair services, Large orders may qualify for a volume discount. I do not sell through consignment. I have an on-line store on Etsy. My designs are hand-crafted and packaged in my smoke and pet free studio.